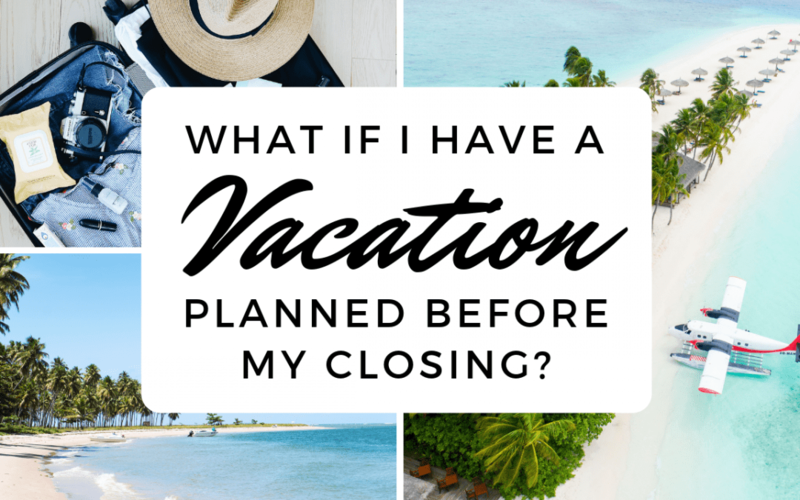 Just because you’re purchasing a home doesn’t mean that your life conveniently pauses until you reach the closing table, right? Of course not! Many buyers and sellers still have to proceed with not only everyday life but other engagements as well. For example, some people have preplanned family vacations or weddings to attend. On the other hand, you may not have had anything planned up to the point of closing, but then something unexpected pops up. All of these instances are more than okay IF you keep your realtor/lender involved and informed. Your realtor, lender, title company, and others are all arranging their processes around you and your availability. Each one runs into points that require contacting you to confirm information, whether that’s by phone, email, or in person. If something comes up where you will be unavailable or difficult to reach for an extended period of time, let your realtor know so they can ensure that your real estate parties are aware and can work around your schedule to obtain all the information they need to pursue the transaction. After being away from your daily activities for an extended period, the last thing you need is to return to find that closing had to be postponed because you couldn’t be reached, and information was therefore unable to be processed on time. Though your closing companywill do everything they can to keep this from happening, Title Junction still aims to fill you in on how you can avoid a postponed closing altogether! In case you missed it, check out our last Title Junction post: What is the Difference Between Pre-Qualification and Pre-Approval?